People say that the way to a man’s heart is through his stomach. 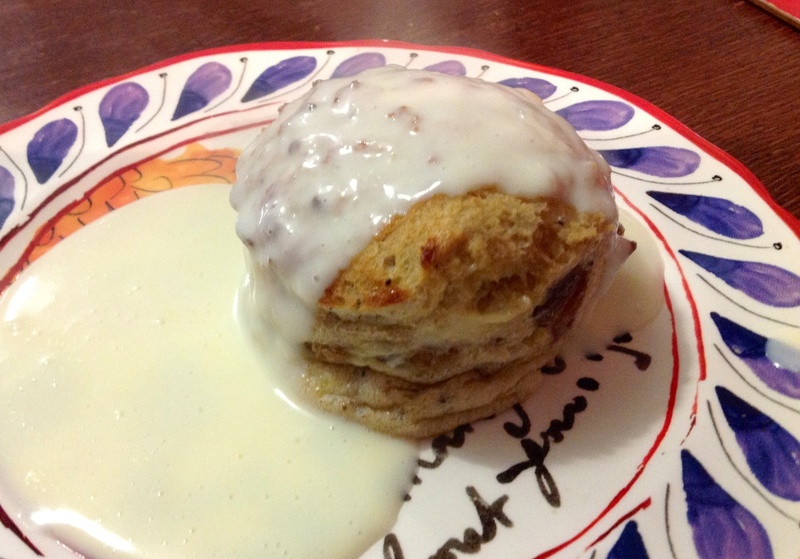 But if we’re being precise, I think that the way to a man’s heart is through bread and butter pudding. 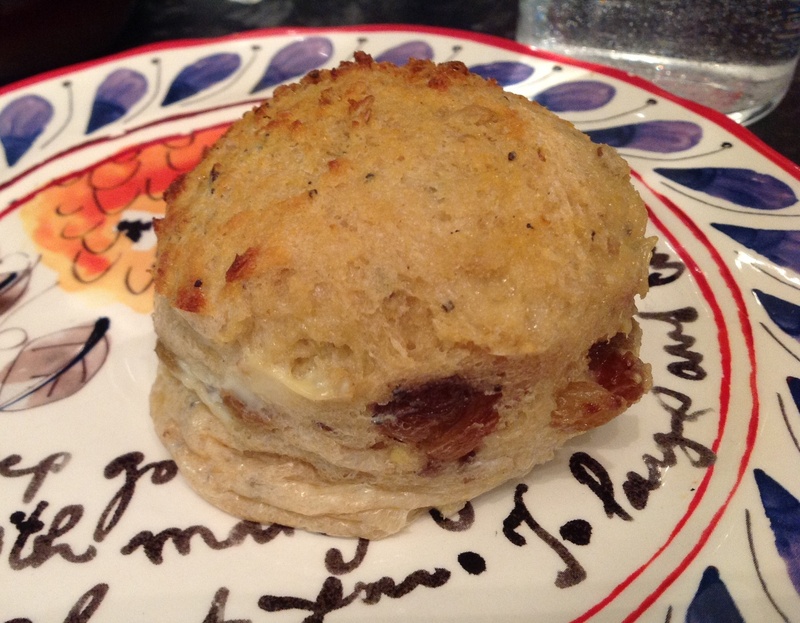 I did pinch this recipe/method from my mum, and for that I must apologise…or at least attriubte it to her. She specialises in rustling up quick and (seemingly) effortless puddings, so in many regards, this is a Carol Smith Classic. 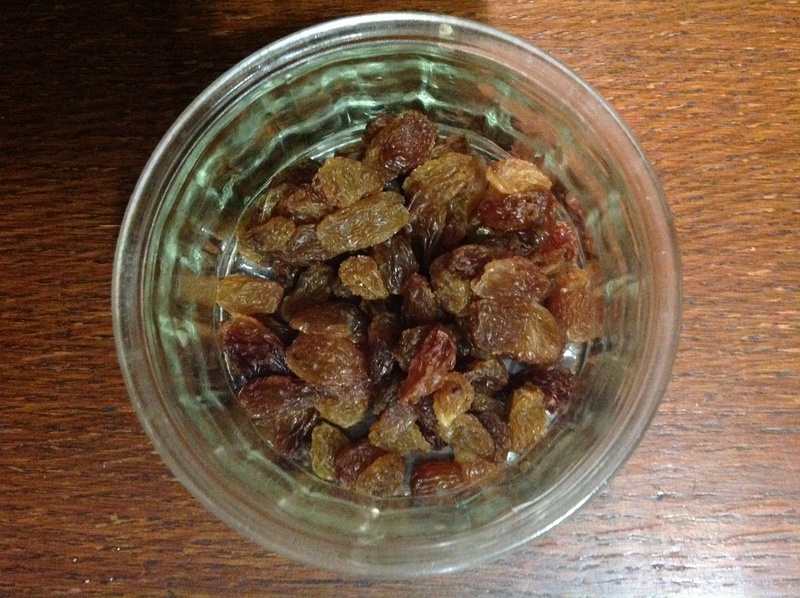 First, put half a handful of sultanas in a pot. Cover them in hot water from the kettle – or cold tap water, and then put the pot in the microwave for a minute. Either way, let the sultanas sit in the warm water while you prepare the pudding, and then drain just before adding them to the recipe. 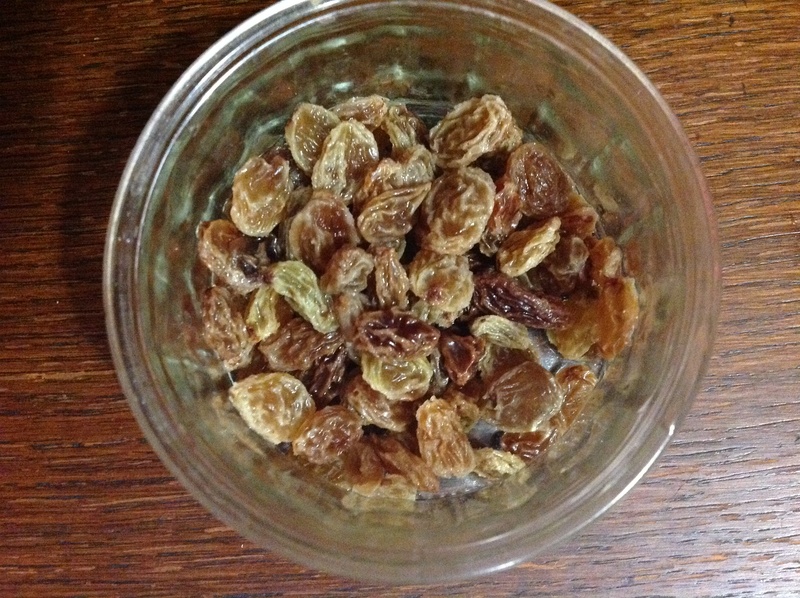 It changes the texture from wrinkly, dry fruit to juicy, plump sultanas. Not an integral step in the process, but it barely takes up any time, and I think improves the puds. I made the puddings using three slices of brown bread. Stale bread is best, because it soaks up the egg/milk/sugar mixture like a sponge. The bread I used really was only just acceptable to eat as toast, but using it in the pudding rejuvenates it no end. 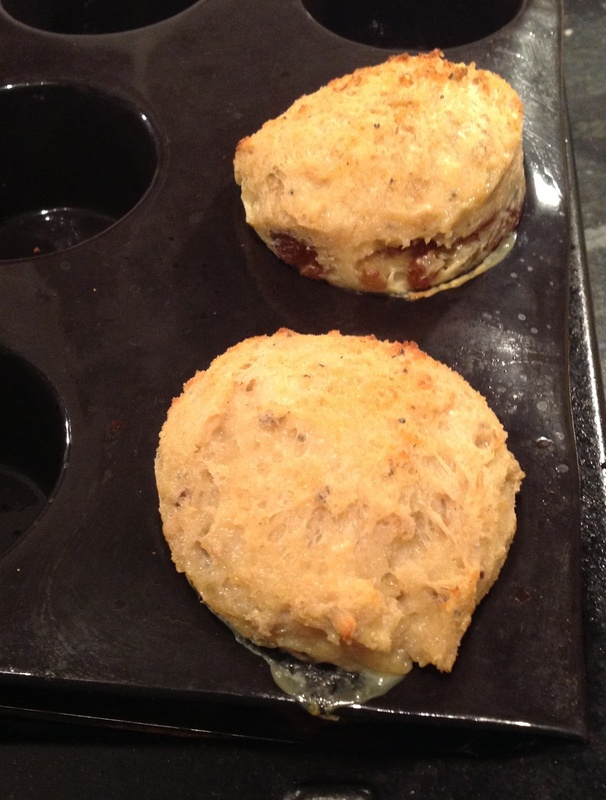 The other trick for individual bread and butter puddings is using a silicone muffin tray – which I use for pretty much everything, ice cream, freezing stock, toad in the hole, sticky toffee puddings, summer puddings….if you’ve read this blog before then you’ve probably come across my trusty old muffin tray. It means you can put together the puddings easily, and pop them out easily once they’re cooked. Non-silicone trays should be ok though – and ramekins are another good option for individual bread and butter puddings, if you have no muffin tray whatsoever! Firstly I cut out two ‘tops’ using a shot glass, and then two ‘bottoms’ using a baked bin tin. 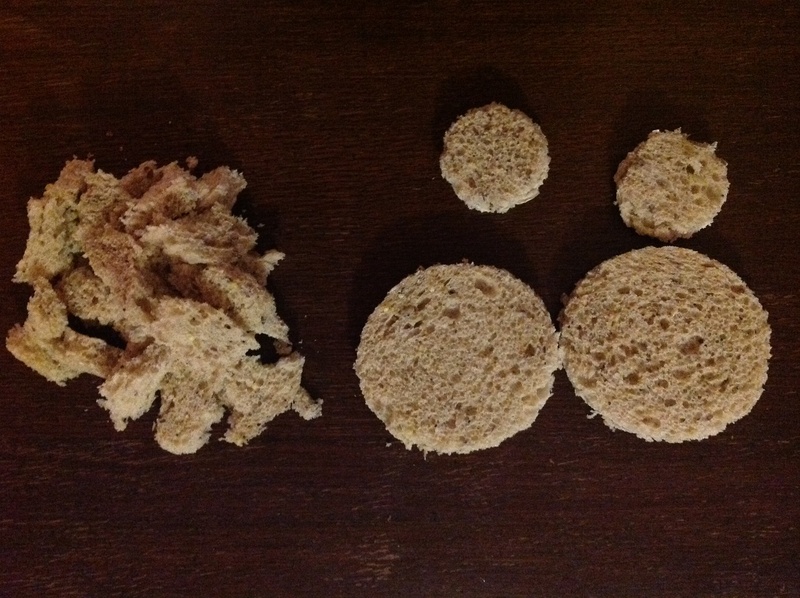 Then I tore up the rest of the bread into chunks – except the crusts, which I binned. Next, mix together the egg, sugar and milk in a jug. 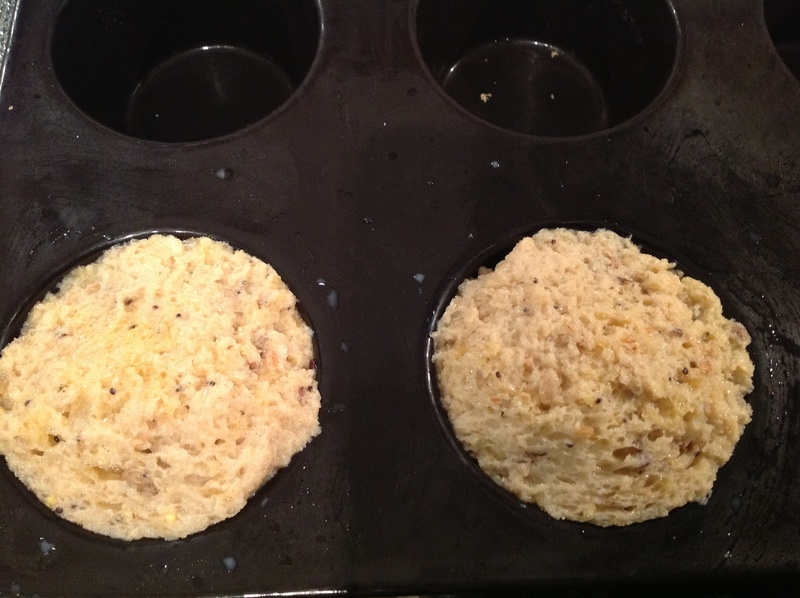 Place small circles in the bottom of the muffin tin.Scatter the chunks of bread and plump sultanas over the top (and, if you’re feeling a bit adventurous, some orange or lemon zest, or marmalade). Then divide half of the egg/sugar/milk mixture between the two puddings, pouring it over the bread chunks. Finish by dunking the two larger circles of bread into the remaining egg/sugar/milk mixture, and squish them on top of of everything, like a kind of soggy-bread-lid. If there’s still left over egg/sugar/milk mixture, then divide it between both puddings, just pouring it on top of them until they’re fully-saturated. All in all, these shouldn’t take more than five minutes to make. So all you need to do now is put the bread & butter puddings in an oven at 180C for 20 minutes – by which point they should have puffed up nicely. This leaves enough time to eat some soup or stew or something equally comforting, and then make some custard. To do that, I heated 150 milk/cream in a pan on the hob until just simmering. In a separate pan I whisked together 1 egg yolk and 2 tablespoons of sugar. I then poured the hot milk/cream over them egg/sugar, whisking all the time, and then returned it to the heat for a few minutes – stirring constantly – until the custard thickened. If you can’t be bothered with this final step, then Ambrosia is flipping delicious too. Custard-less bread and butter pudding waiting to be appropriately drenched. Delicious!! It is always good to make something wonderful out of nothing. I totally agree with your thesis about bread and butter puddings and men. Great article and accompanying photographs – please keep writing and clicking!